They just kept piling up. 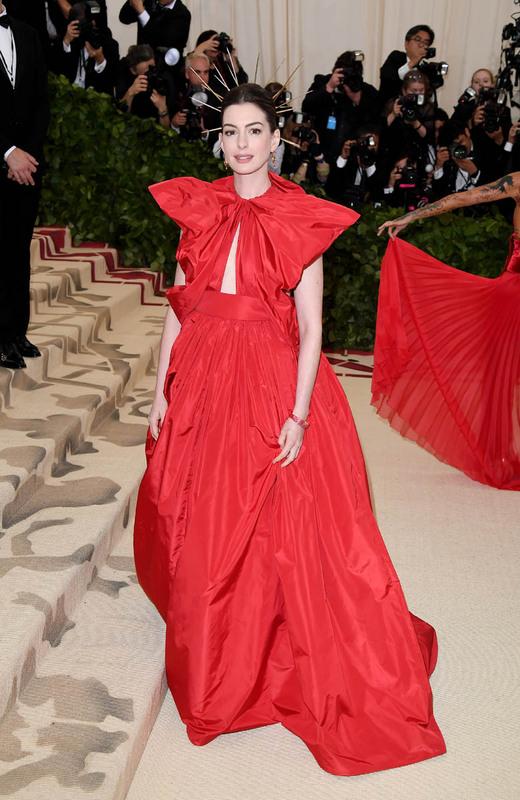 When Lily Collins arrived in what I described as her “Wednesday Addams First Communion” outfit, I was stunned by the spiky saintly halo. Even when she posed with Hailee Steinfeld, who had the whole ‘Heavenly Angel’ interpretation going kind of literally, it was kind of a neat dark/light coincidence. 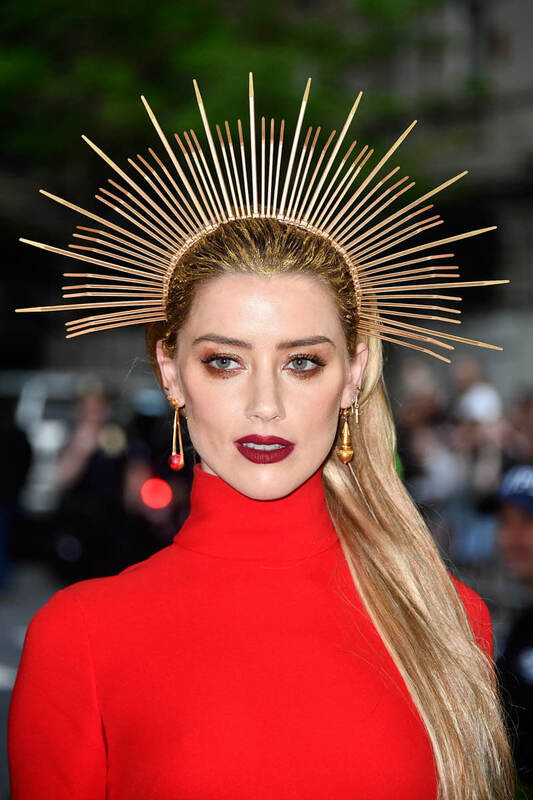 But then there was Amber Heard’s version, which, striking as it is, only works when she’s against a dark backdrop because you can’t really see the gold halo against the light of the tent and the daylight. 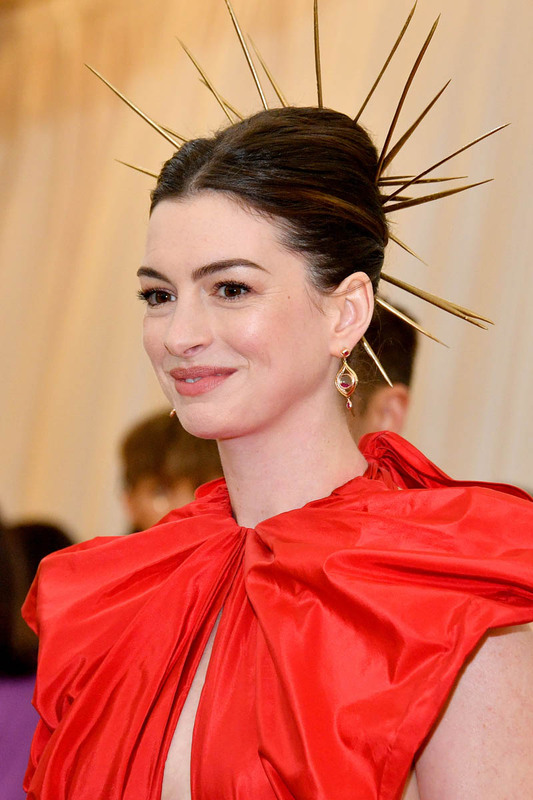 Anne Hathaway came along after that, also wearing red, so the comparison was going to be there, and technically her ‘crown’ was in her hair, which would have been a striking kind of deconstructed effect… if there hadn’t been so many of them. 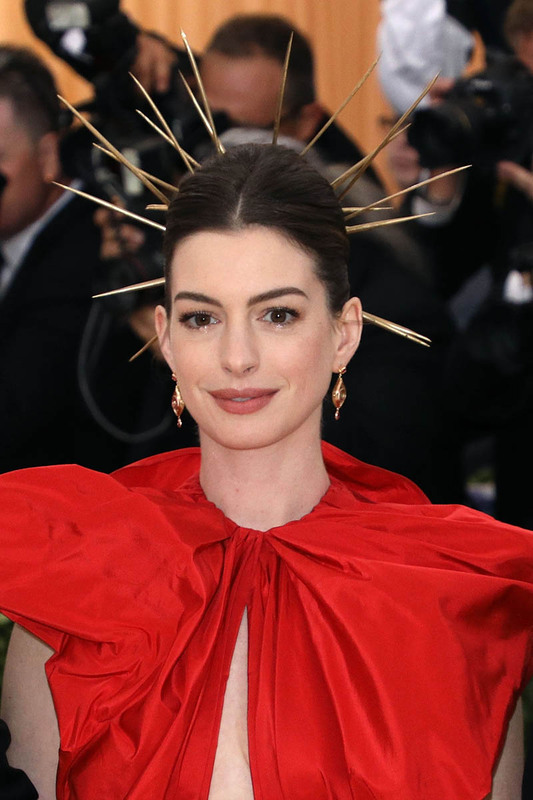 And she was soon followed by Blake Lively, and I have to admit that her spiky saint halo was probably deployed the best of all – it looks pretty effortless and stunning, if I’m being honest. 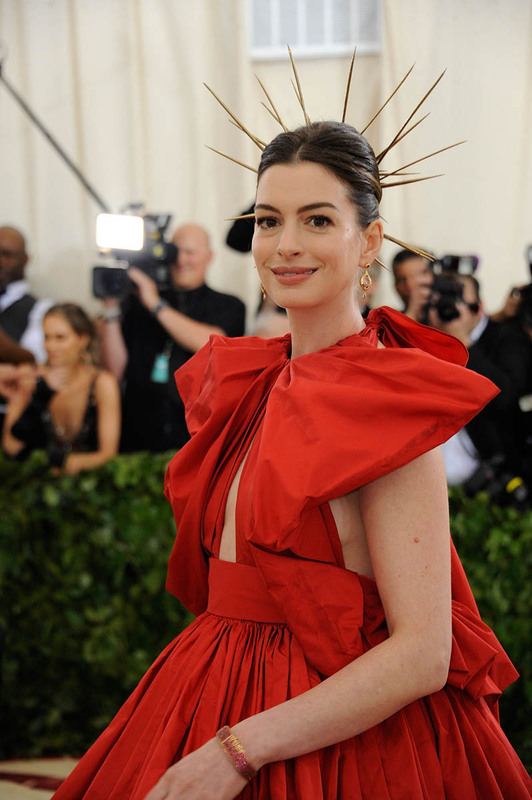 But like… these are pretty girls, wearing pretty crowns… it just gives me the feeling of ‘well I don’t want to look weird, what can I do that still counts?’ Do you think they all agreed to pose together and had to be good sports, like when regular people show up somewhere wearing the same dress and grit their teeth through the photo everyone but them wants to take? 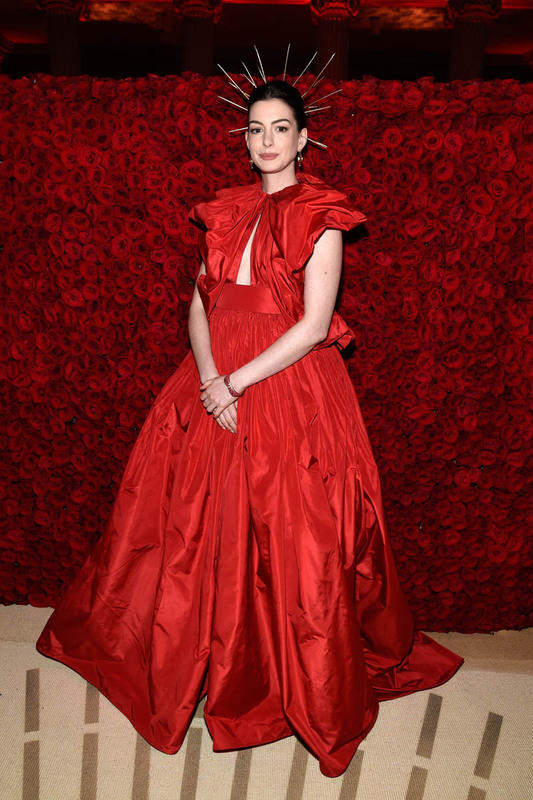 Rule of thumb for the next time we’re all on a red carpet: if there’s a style choice that’s on-trend and universally flattering, that’s great but just know it’s going to be universally deployed.